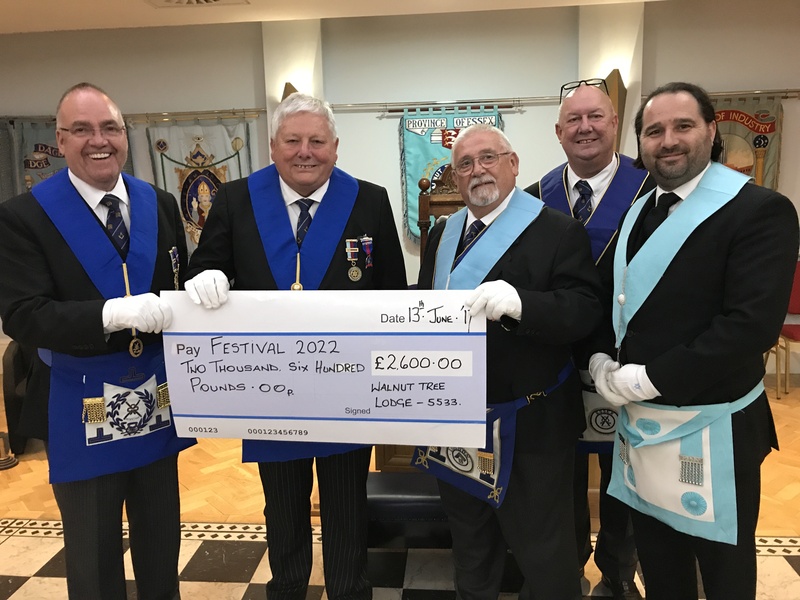 At the meeting on the 13th June, a cheque for £2,600 was presented to W. Bro Peter Banks for the 2022 Essex Festival. From left to right: Colin Felton, Peter Banks, Ken Barnett, Alun Johnson and Micheal Prior. Colin later stated in an email: ‘I was particularly grateful to receive your cheque for £2,600. When this is added to donations already made together with Regular Payments taken out tonight – one a commitment from your newest Fellowcraft – then I am delighted to say that Walnut Tree is now officially a Vice Patron of the Festival2022 and you can state this with pride on all future Lodge summonses. I have no doubt that you will achieve Grand Patron over the next four years and I congratulate Mike your new charity steward for the enthusiasm he has brought to the job. He is an inspired appointment’. W. M. Ricky Woods receiving the Vice Patron Certificate from Asst Provincial Grand Master, Charles Elliott. Essex is the fourth largest province in England and Wales with more than 300 Lodges and 11,600 members. In Essex there is a very special charity called ´Teddies for Loving Care´ which provides a constant supply of colourful Teddy Bears to all Accident and Emergency units throughout the county. 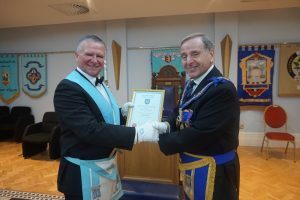 This scheme was started in March 2001 and has now spread to 34 Masonic Provinces in England and Wales. To-date we have donated over 1 Million teddies to sick and injured children. 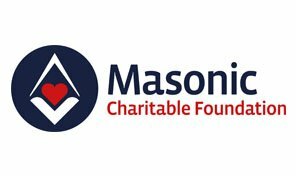 The four much loved Masonic Charities have been brought under the single umbrella known as the Masonic Charitable Foundation (MCF). This has ensured greater efficiency, economies of scale and above all it has sped up help given to applicants. The new charity is one of the largest in the UK with the amalgamation starting several years ago with the full cooperation of the 4 charity boards.